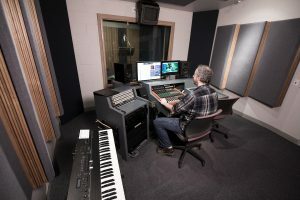 The audio production and music recording facilities at Video Arts Studios, is at your service for original music and jingle composition and production, as well as post scoring, audio sweetening and musician recording. Video Arts Studios is a tapeless, digital environment designed by world-renowned New York designer, John Storyk. Our comfortable and relaxing studios are equipped with digital workstations with vintage Trident and Toft audio consoles, an assortment of Neumann and AKG microphones as well as keyboards. 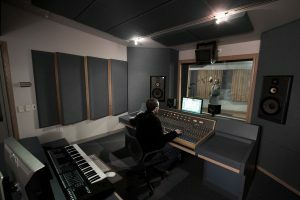 The studios also boast a deep sampler, sound effects, and production music library to work from. The experienced and award winning staff of audio engineers, musicians and original music composers, can be counted on to always deliver a polished sophistication to every audio recording and post production project. 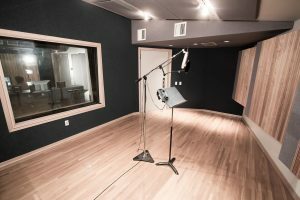 Subsidiaries of Video Arts Studios audio recording studios include Graffiti Music Studios for musician recording and Hired Gums which provides clients with over 30 on call professional voice over talents.